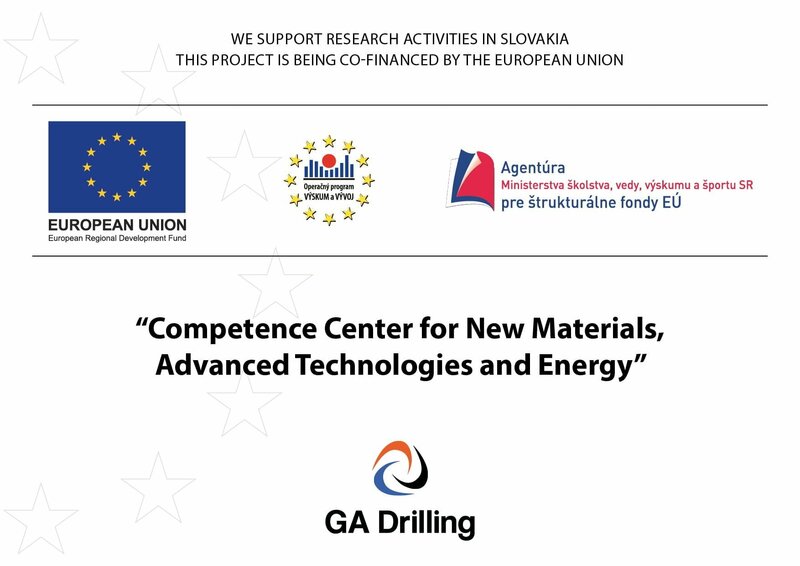 On August 1st, 2011 we implemented the project Competence Center for New Materials, Advanced Technologies and Energy with code ITMS 26240220073, where the company GA Drilling was one of the partners of the applicant, which is the Institute of Electrical Engineering Slovak Academy of Sciences. The main goal was to build an integrated Competence Center, linking the private and academic sectors aimed at supporting key industries of Slovakia. The project consisted of five main activities, and two supporting activities with the length of 52 months. The project was successfully completed on November 11th, 2015. As partner we fulfilled all set objectives and planned outputs and project indicators.